The words ‘Google Adwords’ invokes mixed responses. Small businesses assume that you need huge marketing budgets to achieve any relevant results. They tend to believe that the CTR will burn a huge hole and consume their budgets even before they realize what can be done. While it is true to a certain extent, it is also equally true that a sharp focused strategy can get you meaningful results in limited budgets. Apart from conversions or inquiries, a big thing that Google Adwords gives you is powerful insights. Apart from Google Analytics, Adwords helps you understand what people are looking for and how you can design content to their queries or maybe add more landing pages to take them to relevant pages. Adwords gives you the flexibility to adjust the amount to be spent and the timings during which your ads are to be published. This specifically helps if you are looking for calls from customers, but your store phone can’t be answered 24*7. You can target specific locations too hence if your ad is relevant to a particular city, you can still run Adwords and get conversions. The best thing is you can stop the ads anytime. Did you know that you can run ads targeting a 2-mile radius? You can go that specific! Hence even if you are a brick and mortar store, with a limited area to service, you can still focus only to these places and run an efficient ad campaign. The local ads can also appear on Maps – ‘Near Me’ feature. This will help you showcase your products or offers right when the customer is close by and maybe looking for something similar. The best thing about Google search Ads is the fact that your ad appears when the prospect is looking for your product or something similar. Having a good keyword strategy will help you understand the customer’s requirements and what exactly is he searching for. Also the fact that universal ads appear everywhere – right from search to videos and apps makes it a perfect brand launch vehicle that will skyrocket your brand awareness. While you might not have a budget to run Universal campaigns, what you can do is drive your prospective customers to various touch points on your site, via the search ads alone. Add site-link extensions like call now, contact us, locate us etc. to ensure that people reach you directly and you don’t miss any leads. SEO is great for long-term strategy. You need to focus on SEO and optimize your site so that you can come on the first page of the search results. However, if you wish to capture audience now, then the quickest way to be on the top of the list is via SEM (Search Engine Marketing) or PPC. This is especially effective when you are launching a new product or a website launch. Google and Facebook offer Remarketing option. With this, you can retarget your audience and keep the brand on top of his mind. Your ad can appear on the sites that he visits and the videos that he plays. If you are an e-com site, you know that a customer never buys in one go, but being on the top of his mind, while making a purchase decision will ensure that he chooses you over other brands. 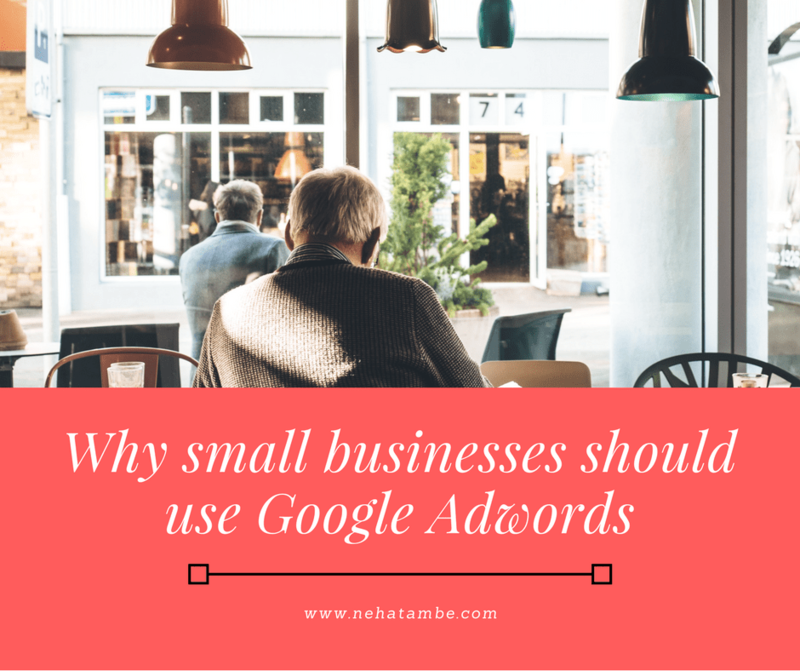 These are few of the reasons why small businesses too should think about investing in Adwords. It is much more focused as compared to some traditional marketing methods and it is also highly measurable. This is so interesting to read.. This is really helpful, Neha. For a tech-challenged person like me, your point by point description made it easy to follow. Informative post….I really didn’t know abt dese facts…… People who r planning to grow their business would definitely find this helpful….. This is actually a helpful tool for every small scale business runner. The points are explained very well, keep it up! This is quite a useful post. So relevant for upcoming bloggers. i loved this post since some time I was looking to get knowledge on Adword. thank you so much for shareing it here. Haven’t tried this much. Will give attention next time. Thanks forthe detailed post, Neha! Very informative and great post to read. Very well written. Thanks for sharing. No I haven’t used Google Adwords. Honestly before this post I have very limited knowledge about this. 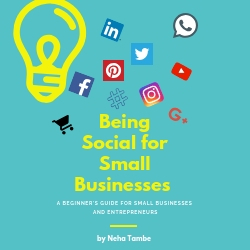 Now I can understand that it’s a very helpful tool for every small scale business or personal brand promotion. Some really interesting and drawing facts about google adwords. Thanks for this really informative post. I’m learning about SEO and this sure is a good introduction! Thanks! !